Leave the crowds behind & join our family! 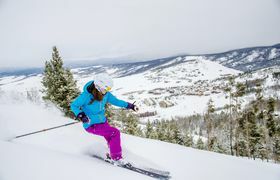 Competitive pay, affordable housing, Free Ski 15 resorts! Western hospitality, endless mountain vistas, friendly small-town vibe.